Sunglasses can make you look cool, mysterious, and even more attractive. Now, the first part of this research comes out of Nottingham Trent University and what they discovered is that sunglasses make people look cool because they add a sense of mystery. Now, out of the University of Nevada, they had a study and what they found is that mystery equals desire. So, people wearing sunglasses actually they had more intrigue with them, they actually came off as more attractive. Now, I know what some of you guys are thinking, Antonio, I need a lot more than a sense of mystery to be attractive. Don’t worry. Sunglasses also have you covered when it comes to symmetry. Symmetry is something we naturally look for in another partner or another human being, we look for a balance in the face. This tells us they’ve got good genes. Now, all of us naturally have a bit of asymmetry, that’s when one side is different than the other. But, where people look at are the eyes and that helps them determine does this person actually have more asymmetry, therefore less attractive. 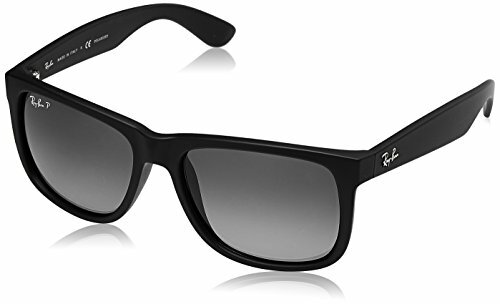 The cool part about sunglasses, they create this symmetrical look and they hide the eyes, so actually if you’ve got a bit off, these right here are going to make you look more attractive. The next strange fact, sunglasses affect how you behave. You’re actually less generous. So, this comes out of the University of Toronto. What they found is they gave $6 to participants. They said, hey, go ahead and divide this up. Some of those participants who are wearing sunglasses when they were dividing up the money, what they found is because they felt more anonymous, they were less likely to be generous. So, if you’re asking somebody for a donation, make sure that they take off those sunglasses. Next up, your sunglasses lens color matters a lot. Now, brown lenses, they can cause some color distortion, but they also increase contrast. Gray and green lenses are considered neutral because they maintain true colors. Amber and yellow lenses are optimum for object definition. Basically, you’re going to be able to spot things better that’s why these lenses are incredibly popular with skiers, hunters, boaters, and pilots. Now, blue and purple lenses are loved by shooters as they can increase the contrast of orange targets against the green foliage. Oh, by the way, you like those infographics? Guys, I’m linking to them down in the description as well as Real Men Real Style. The next interesting fact about sunglasses, they’re older than modern civilization. Not this pair, but if you and you look at ancient hunting masks, what you’ll find is they actually had small slits for the eyes. The reason they did this is if you’re hunting on snow, think of all that glare you can’t see anything, so you would actually use those slits to only allow in a little bit of light and then they could actually better see and hunt. Now, another interesting fact is that sunglasses have been a status symbol for a long time. Let’s go back to 12th Century China and we will see the smoky lenses made from quartz actually were used to hide people’s expressions. So, talk about poker face, but I think they were actually used apparently by judges who didn’t want people to see actually what they were thinking. So, when did sunglasses became mainstream? Who do we have to thank? An entrepreneur named Sam Foster. In 1929 after a decade of failure, this guy starts selling these sunglasses on the beach, basically, Atlantic City beachgoers started seeing these things picking them up. Some movie stars apparently saw this started wearing them and all of a sudden, everyone wants to wear sunglasses because movie stars are wearing sunglasses and that’s when it started to pick up. Now, Sam Foster got things going, but this next fact that the Air Force actually created the first sunglass company is really interesting. So, in 1936, the Air Force realizing that pilots were flying in these high altitudes being, you know, that light is just really bad up there, the goggles just are not working, they need an elegant solution to this. So, they got Bausch and Lomb this company to go over and start creating the first aviator sunglasses. 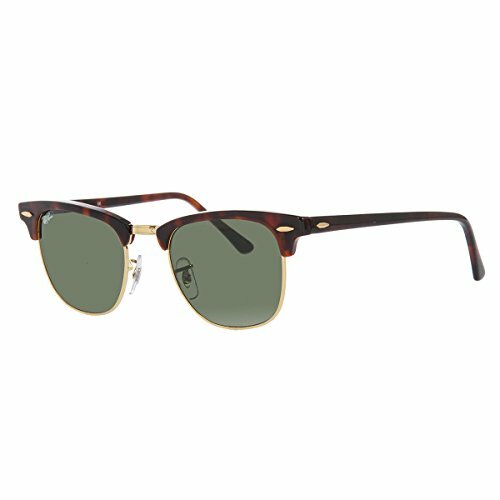 Now, Bausch and Lomb realizes this is an opportunity, so in 1937, they created the company Ray-Ban to actually be the distributor and the maker of these sunglasses. So, Ray-Ban invented the aviators, but this next fact who was the first poster boy is going to be interesting because it wasn’t an aviator, in fact, they didn’t even have that name until the 1950’s and 60’s though the first poster boy for aviators was a non-aviator. And, in 1944 when he landed in the Philippines after his famous 1942 I will return speech, everyone saw these photos all over the world. That was Gen. Douglas MacArthur whenever he landed and he had those on, everybody wanted them. Polarized sunglasses protect you from glare. Glare is light coming from different directions that are going to distort what you’re looking at, so if you want to be able to see something directly in front of you better, you want to go with polarized glasses.